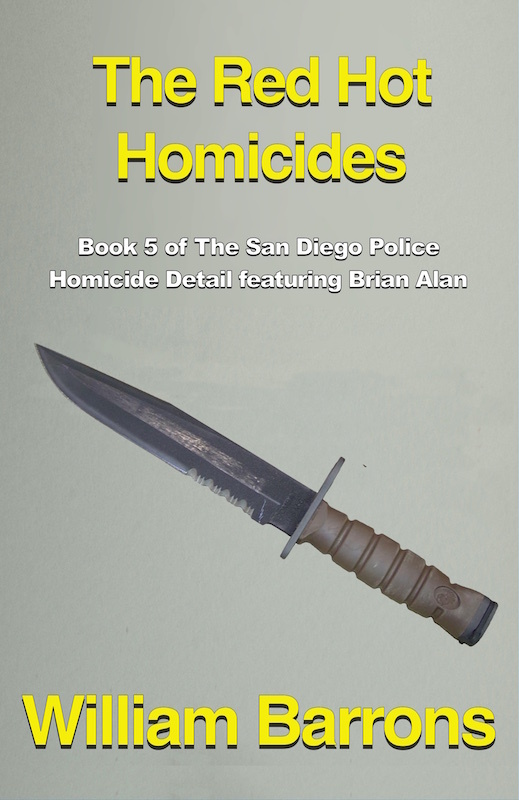 As a long time homicide Detective, I was in my cubicle office in San Diego Police Headquarters on a Saturday, reviewing several of our old, very cold homicide cases with the two newest Detectives on our Team Three. “We know who it was that murdered his wife, this Colleen Blacklock pictured here,” I told Ray Mason and Joe Salah. “This happens to be exactly the fifth anniversary of that brutal stabbing death. We know for sure that at 9:35 on the night of Mayday – that is, the first of May, 2005, the Zuni Indian Benny Blacklock killed his Zuni wife Colleen of seventeen years with a red hot hunting knife. We suppose he heated that knife up over the gas cooking range in their kitchen as she lay sleeping. We found out he was suspicious of her screwing a cook at that restaurant where she worked. “Officers answered the calls from several neighbors and got there at 9:56. You fellows should always be aware of the tiniest details, you see. But in those eleven minutes, the guy got clean away and probably was over the border into Mexico by a bit after 10 p.m.
“Well anyway,” I continued, “truck driver Benny drove that red hot hunting knife into her heart. He had to have been wearing some kind of mitt because of course the knife handle had to have been very hot also,” I told them. 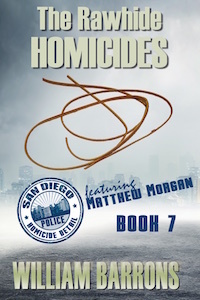 The other Detective on the Team – one of the African-Americans in our department, Martin Garcia – was that day in Los Angeles coordinating evidence with one of the LAPD Homicide cases. “And you, Brian – are you ambitious too?” new Detective Salah asked. “I have only the ambition to solve homicide cases, Joe. Period. I’m happy with what I do and I like to think I’m pretty good at it. I hope to do this very job for the rest of my life. If you fellows might be interested, I could tell you sometime about how I acquired a great passion for this work. I continued through the morning going over two other cold cases with them, but especially the intriguing Blacklock case. The Native American truck driver had no prior record for felonies but he was known to have a bad temper. We had plenty of his fingerprints and DNA from the apartment he had shared with his wife and two kids. Those kids, a boy of fifteen and a girl of thirteen, were taken in by Colleen’s mom and dad in northwest New Mexico on the Zuni Reservation. We had interviewed everyone who worked in the waitress’s restaurant as well and determined the woman was probably innocent of any sort of affair with anyone working there. But that aspect of the case mattered not at all to us. She was murdered; that was plenty for us. It seemed that tough-guy Benny was probably wrong about his wife’s infidelity. The two new guys wanted to know how it was I got into the detective business. I told them that my father had died when I was six years old and my mother re-married two years later to a truly good man. When I was fifteen, my parents and I went to Las Vegas to see some shows. My dad and mom would be attending a real estate convention as well. “One night dad went down to play at a craps table while mom and I watched TV in our room. We were to meet him in the garage at six o’clock sharp at his car and then go to a dinner and a show. When we got there, we were astounded to see him sitting back on his heels, wedged between his car and another. He was clearly dead. When the Las Vegas Metropolitan Police got there, it was discovered he had an ordinary, wooden handled kitchen “butcher knife” stuck in his back. If the murderer had wanted to rob him – as was thought certain – he was out of luck because the wallet in his back pocket was pressed against the heel of his left shoe and it could not have been taken out, even if the crook had been able to reach it. “There were zero clues as to who had committed the homicide. The Las Vegas Detectives eventually gave up…but I never did give up on that case. It gave me a passion for solving such crimes and not until I was a member of this Team Three, did I actually solve it. That is, I solved it with then Sergeant Leslie’s assistance. “About the time I became a Detective, I found out the Nevada Casino hotels keep a record of every guest – and apparently they keep those records for many, many years. Aha, I thought that if I could compare the records from the hotel where we stayed, to the names of a hotel in Boulder City, Nevada and Laughlin, Nevada – where I knew practically duplicate homicides had taken place within a few days of my dad’s murder…if I could compare the records and find matching names at those three hotels, it could lead to the guilty guy. “And in fact it did. It lead me eventually to the name of a guy from Los Angeles. We looked him up. We found he had been spotted by an LAPD Detective, outside a card room there, knifing a man in the back who had just won a lot of money inside – just as my dad and the other victims had. That happened two weeks after my dad was murdered. “The man in question by that time was on Death Row in California’s San Quentin Prison. Sergeant Leslie and I went there, interviewed him and he almost cheerily admitted to killing my step dad in order to rob him. And he confessed to the two other Nevada homicides as well. My own darling wife insisted on continuing her work at home, with her computer, taking care of the books for a Chula Vista trucking company. She was happily six months pregnant and a sonogram of her slightly enlarged belly seemed to prove for sure that we were to have twin boys. Here I am at the age of thirty-three in a few days, for the first time about to become a father not of one, but of two kids! I’ve hoped they both have beautiful red hair like their mom instead of very light brown hair like mine. Commander Paddy O’Dean and I had married the Price sisters, Elaine and Gracioso, on the 9th of September, 2009 – making the date a memorable 09-09-09. The two were of Portuguese parents and the unusual name of Price came about some generations back when an English fishing boat crashed ashore on the Azores Island of Gracioso. A survivor of the crash named Price stayed on Gracioso Island and began new generations of Portuguese with the unlikely name of Price. Tempted as I was to bring my colleagues home for lunch, I thought better of surprising my gorgeous Gracie with a lot of work preparing all that food. While the other Detectives headed for the cafeteria here in Police Headquarters, I jumped into my big white Rubicon Jeep Wrangler and headed home the few blocks to my house in nearby Golden Hill. We had only moved into the “big house” in front of the “mother-in-law house” in the back of our lot a few weeks before. The move took all day even with the help of the entire Team Three and several wives. The furniture in both houses stayed where it was and that helped to save time and effort in moving. We had one dandy pool party with beer and barbequed boneless chicken breasts for all the helpers afterwards. The twenty-eight-foot square house behind where I now live had been built as a stunning surprise home for me after I graduated from high school, just after I turned eighteen. My talented building contractor step dad amazingly got it, the pool and the patio built during the two months while I was away on vacation in Minnesota. I spent those months visiting with my mom’s dad as I did most summers. He’s my precious eighty-four-year-old grandfather who served in the Marines in World War II, as an aircraft engine mechanic. 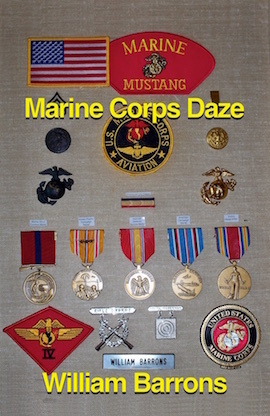 That dear old man still has the actual Marine Squadron Jeep he drove during the war in the Marshall Islands in the Pacific. He bought that military Jeep as government surplus after the war and allowed me beginning at age twelve, to learn to drive with it; first just around his farm and later, while also driving tractors, on actual roads. I thrilled to fly it then at the governed speed of fifty-five per! Just as I pulled into my driveway, my Blackberry rang. I saw it was Lieutenant Hernandez calling. “Yes sir Lieutenant?” I answered. “Okay Brian. I know you’ll do your usual best. Of course, Officers have the place already taped off and are waiting for you and for CSI. And thanks,” he said as he hung up his phone. Lieutenant Hernandez had been a Sergeant on another Homicide Team. He was proving to be very sharp as Co-Commander of the Homicide Detail. I parked in our driveway and came in the door centered in the front of my house. I stepped left a little to see my darling glaring at her big laptop computer at the big desk my step dad had made. It was made of oak, to match virtually every other piece of wood in the house. I gave her a kiss on the cheek and asked her what the problem was. “Sweetie, I’ve made a mistake in addition here someplace and damned if I can find it. I’ll wrestle with it again after we eat. Want a burger?” Gracie asked. “I sure am,” she said as she got up and we headed arm in arm for the kitchen. “All morning long, it feels like our boys have been kicking and boxing each other inside me. I love those boys already,” she smiled. Making the same sandwich and pouring milk for each of us, I rather hurriedly gobbled mine down. Usually, when I had lunch at home, I spent nearly an hour with her. But this time I had to rush. Arriving at the scene of the new homicide, I saw Police vehicles and Crime Scene Investigator cars already at the site. I crossed the yellow tape and went into the first floor front of the apartment house. The victim had a sparingly furnished one-bedroom apartment and it appeared to be fairly clean. There were no pictures on the walls except for one food company calendar which was turned to May of 2010. In the bedroom, laying naked on his back with arms outstretched, was a very, very fat white male. The handle of the hunting knife was all that was visible since the blade had been driven into the man’s chest right up to the hilt. The bone handle seemed to be scorched. It appeared to have been driven dead center into and through the guy’s heart. Depending on the length of the blade, it might have gone all the way through to come out of his back. The Medical Examiner would furnish all such details. His was a twin-size bed, making the bedroom seem larger. The weight of the man bent the bed down a little. He surely weighed well over three hundred pounds – my guess would be about three hundred fifty pounds. The sheet and blanket that had probably covered the guy was pulled back to the foot of the bed. I got close to the man’s chest and my nose unmistakably smelt the awful odor of burnt flesh. Although of course much blood had poured out of the knife wound to cover some of his chest, I could see burned flesh around the wound. The guy’s pumpkin-shaped face was by then expressionless. His brown eyes were glazed over. I supposed that he must have worn dentures because he was laying there toothless. Stabbing someone with a red hot hunting knife certainly pointed to Benny Blacklock. Although myself and others in the Detail had covered many a case of homicide by knife, none of the other of those killers had gone to the trouble of heating the blade to red heat. Why would anyone do that? I supposed there must have been some sort of reason for that extra measure of hurt from the heat of the thing. When I got back to the office, I’d look up Benny’s Zuni tribe on the internet to see if they had some sort of ritual with red hot knives. A CSI Technician was trying for fingerprints around the room and on the window where he guessed the murderer came in and he was at the moment concentrating on it. “You suppose the killer found that window closed and might have put his hands on it to open it before he stabbed the guy?” I asked him. “There was no sign of forced entry?” I asked. “No there wasn’t. Maybe the large man in there never locked his door, as somebody said, but the killer I’m sure came through this bedroom window. He sure didn’t have anything in here worth stealing. Sergeant Jackson was the first Officer on the scene, so you might want to talk to him. He told me about the milk box below the window where a guy could have climbed in from,” the CSI guy told me. The Patrol Sergeant must have been in the bathroom when I came in for I didn’t see him then. I found him sitting on a much worn sofa in the living room of the apartment. I knew that Jackson was a close friend of Police Chief Jack Leslie. Years before, they had been to San Diego State University and the Police Academy together. “Hi Alan,” he said. “You’re right, I did for some years but my wife talked me into going on days so’s to be home with her and our kids at dinner and at night. So I got this area assigned to me. Ah, here comes your partner. Hi Fredericks,” he said, turning to my Teammate. Fredericks was then the oldest Officer on our Team. He was forty-three, big, balding, mustachioed and a bit overweight. He’d been on Team Three longer than anyone. “Sergeant, how’d you find out about this homicide?” I asked the forty-year-old veteran Patrol Leader. Fredericks headed for the bedroom and I went into the kitchen. The gas stove was just an ordinary white, thirty-inch-wide range. Cooks would demand their helpers to maintain cleanliness in their equipment at work but his own stove was not well kept. It was dusty on top and that meant it must be that he probably rarely cooked at home. Actually, the counters were dusty, too. He could of course pile on and add to his body fat for free in the restaurant where he worked. Fredericks came out of the bedroom and I told him I was going down the street to the restaurant where the now dead cook worked – as had Colleen Blacklock before she had been killed five years ago to this very day. I parked in Simon’s Café parking lot and went inside. For such a small restaurant, he had the most spectacular sign over the front, as though it was Las Vegas. The neon lights were brilliant and a zillion bulbs flashed. It would be hard to drive by on University Avenue and not see the place. The menu was hardly extensive and was painted neatly on a big sheet of plastic on the wall behind the counter. Sitting at the counter, I asked the waitress for a piece of cherry pie and coffee. I remembered waitress Maria Sanchez from five years before and she did look a little older and not so slender as in the past. The cooking was done right behind the counter. There were no more than two other customers at the counter and a glance showed me three of the ten tables or so were occupied, what with lunch time being about over. The guy cooking was sweating a lot. Unlike the cook that should have been there, I knew him to be a middle-aged guy – maybe fifty years old by now – with wavy black hair and a slender build on his five-and-a-half-foot frame; and he owned the place. As he turned around from the grill to look at me, I opened my suit coat so he could see my badge. He then turned to his cash register to take payment for their food from three women leaving the place. Then he served up some burgers and fries which Maria Sanchez took away. He looked around the place and sat down on a stool next to me. “So you’re investigating Smitty’s death?” he asked me in almost a whisper. “Yes sir. His name is…excuse me; or was…Harold Edward Smith and he’s worked for me for about eight and a half years, I think, of the little over twenty-one years I’ve owned this place. It’s a real shock to know that good man and good friend will never be here anymore. You can imagine the hurt I felt to see him dead with a knife handle sticking up out of him. Poor Smitty. If you knew him, you couldn’t help liking that man,” Weinbergh said. “Oh, not real often but once in a while and damned if I could figure why although I know the guy was lonely. He’s always been real fat and I’m sure he never married. I don’t remember him ever having a girlfriend, even. He served our country in the Navy for I think – I’m pretty sure he served for four years or so and that’s where he learned to cook. As I said, he was real fat but I liked him very much and he could be fairly well depended upon and he sure knew how to put out the food right and fast. He handed the photo to me. It was a five by seven color shot and not terribly clear. Smitty had on a tall white hat and a smile which showed perfect white teeth – dentures, of course. “Remind me? Remind me of what? Oh, you must mean when sweet Colleen was killed. I never saw her dead of course, but yes, I heard she was killed the same way, with a knife. By the way, somebody told me at the time that Smitty might have been having an affair with Colleen but I can’t for a second believe that. Colleen was…well, at least I thought she was real beautiful, although I guess not everybody did. And Smitty, he sure wasn’t handsome and he was always real fat. Those two joshed with each other from time to time and it was easy to see they liked and respected each other as friends. But I worked with those two six days a week and I never saw any hint they were fooling around together. “But according to what I heard, it was very likely her husband was the one who murdered her. Damned if I can imagine why he’d do a damn awful thing like that to a very nice woman – and also a Native American from New Mexico just like him. They had two real nice kids; a boy and a girl and both were smart and good looking and had real beautiful wavy black hair. That was such a terrible shame that Colleen had her life taken away. Hell, I had always thought Benny to be a real nice guy. Sometimes he’d bring the two kids here to eat. They loved to see their mom at work. They acted real proud of their mom, seeing her wait on customers. No way could anyone help but like those two really good kids. When I finished with the pie and coffee, I drove back down the street to the dead man’s apartment. The body had been taken away. Fredericks was still there and was talking to the new Detectives Salah and Mason. “Yes of course Sonia would, Chuck. Fellas, you have pens and notebooks on you so please, find everyone in nearby apartments and ask them what they might possibly know about a stranger coming into the building during the night with mayhem on his mind. Okay? That’s what our business is all about; getting the tiniest details on the record. Mason and Salah left and I turned to Fredericks. “Good idea. I’ll do that. I’ll get the file started in the computer and see you later,” I said and headed for the door. Back at my desk I began the file on the case of the red hot knife homicide of Harold Edward Smith, aka Smitty, in his own bed during the early hours of May 1st, 2010. I entered the only picture I knew of him in the file except for an even less clear one on his driver’s license. Smith, at thirty-five, had been born a couple of years before I was ejected screaming from my darling mom’s womb onto my present kitchen floor. My father had showed up two or three minutes after that messy event to help my mom. Sitting back in my chair, with my hands folded in front of me, I closed my eyes and tried to review what I so far knew about the death of that cook. Could there be any significance to being the fifth anniversary of Colleen Blacklock’s homicide? That of course could be only a curious coincidence and there might not be any connection to the two murders at all; except for the killings being done with red hot hunting knives. Not only did I not have any other experience with such a homicide, I’d never read or heard of one that the killing was perpetrated with a heated knife. Why would a killer bother with making a knife red hot when merely handling it would be more than a little difficult, even with insulating mitts or gloves protecting his hands? Looking up the Zuni tribe of northwest New Mexico on the internet, I could find nothing whatever about them having a tradition about heating their knives to do anything at all. Before the White men of Spain came into their territory way back in 1539, they of course had never had knives made of anything but flint stone. That stone was carefully knapped to make sharp enough edges to skin animals and cut up the meat. To heat up that sort of rock would probably have destroyed it. No, there was no reason to think Zuni Indian Benny Blacklock was following some sort of red hot knife ritual in doing his killing – or most probably now, killings. Sure enough, just before I quit for the day the CSI guy called me to say they had found Benny Blacklock’s fingerprints on the glossy matchbook they had discovered almost hidden under Harold Smith’s thirty-inch gas stove with the faulty pilot light. That was proof that at least, Colleen’s former husband certainly had to have been in that apartment. An attorney might claim in court that the matchbook had been planted there to wrongly point the finger at his pure and innocent client, but…he would have a hard time with a jury spouting such baloney. Arriving home, I saw Mrs. Elaine O’Dean’s little red Ford Ranger pickup in my driveway. I drove around it and parked in my attached twenty-two by twenty six foot oversize two-car garage. Then I went in the kitchen door to find curly-topped and long red-haired Elaine sitting at the island talking with her older sister who was three years her senior, my own Mrs. Gracie Alan. Gracie had noted her name now sounded like that of the famous comedienne, Gracie Allen of the Burns and Allen hilarious radio and television shows from many years ago. She had laughed until her belly hurt, watching re-runs of their show, she told me. My wife had equally red hair with her sister but she loved the current style of her hair severely parted in the middle of her pretty noggin and combed straight down to just above her shoulders. She used a heated ceramic “straightener” to eliminate the natural curls in her hair. Assistant Chief of Police and Commander of Neighborhood Policing Paddy O’Dean and I married the Price sisters on September 9, 2009, 09-09-09, figuring the date would be hard to forget. O’Dean’s wife got a head start on my wife however, as she was due to deliver a baby girl in a couple of weeks. Our forty weeks of gestation and delivery of twin boys was to be about eleven weeks away.